Every "host" (computer) on the Internet requires an IP number in order to interact over the network. The current number space is IP version 4 (IPv4) and it [has run] out of numbers. In recognition of this limitation, in 1991, work was initiated on a next generation internet protocol. This work resulted in a new address space, IPv6 ("The name IPv5 had previously been allocated to an experimental stream protocol." [NIST Security 2010 p 2-1]). IPv6 dramatically increases the amount of IP address space available from the approximately 4.3 billion addresses in IPv4 to approximately 3.4 × 1038. Because IPv6 uses a 128-bit address scheme rather than the 32-bit address scheme used in IPv4, it is able to allow many more possible addresses. The increase in the actual bits in the address and the immense number of possible combinations of numbers make the dramatic number of unique addresses a possibility. 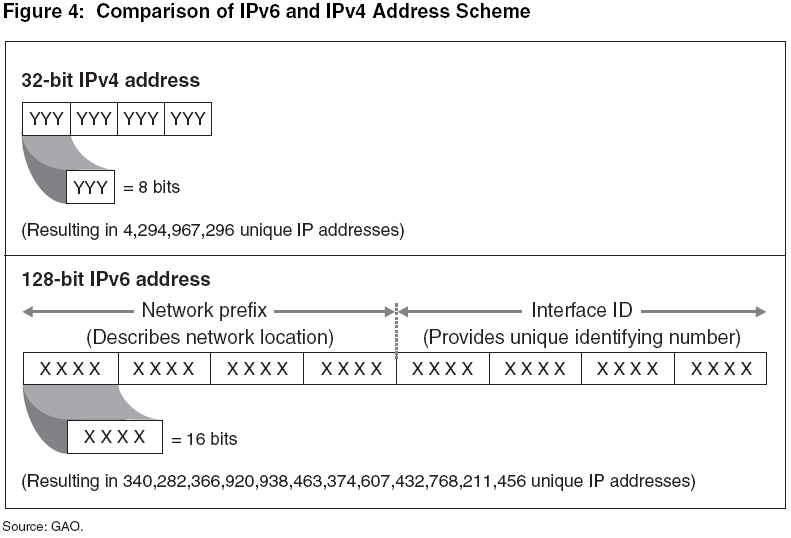 Figure 4 shows the difference between the length of an IPv4 address and that of an IPv6 address. These key characteristics of IPv6 offer various enhancements relative to IPv4 and are expected to increase Internet services and enable advanced Internet communications that could foster new software applications for federal agencies. abilities between devices with unique IP addresses and can better support the delivery of data-rich content such as voice and video. Simplifying the IPv6 header promotes flexibility and functionality for two reasons. First, the header size is fixed in IPv6. In the previous version, header sizes could vary, which could slow routing of information. Second, the structure of the header itself has been simplified. While the IPv6 addresses are significantly larger than in IPv4, the header containing the address and other information about the data being transmitted has been simplified. The 14 header fields from IPv4 have been simplified to 8 fields in IPv6. 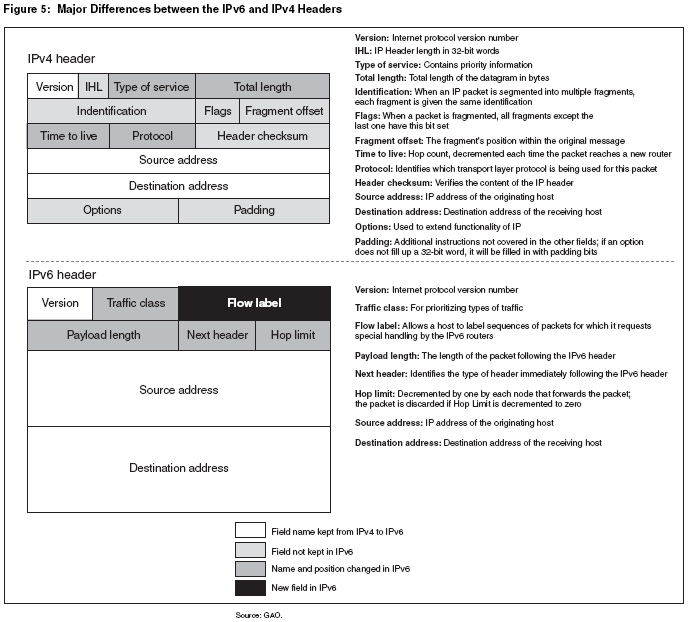 Figure 5 illustrates the differences between the two IP headers, including the various data fields that were eliminated, renamed, or reorganized. Another benefit of the simplified header is its ability to accommodate new features, or extensions. 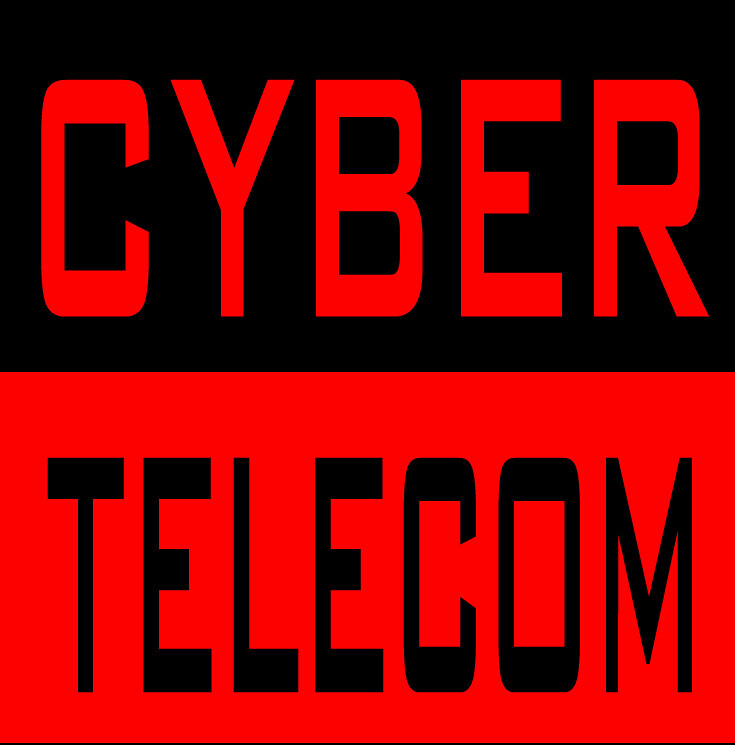 For example, the next header field provides instructions to the routers transmitting the data across the Internet about how to manage the information. Note: Scalable routing is listed as a concern with IPv6; that IPv6 with its massive increase in IP addresses will create increased demands on routing and routers - to the point where the increased demands become problematic. IPv6 enhancements can ease difficult and time-consuming aspects of network administration tasks in today’s IPv4 networks. For example, two new configuration enhancements of IPv6 include automatic address configuration and neighbor discovery. These enhancements may reduce network administration burdens by providing the ability to more easily deploy and manage networks. IPv6 supports two types of automatic configuration: stateful and stateless. Stateful configuration uses the dynamic host configuration protocol. This stateful configuration requires another computer, such as a server, to reconfigure or assign numbers to network devices for routing of information, which is similar to how IPv4 handles renumbering. Stateless automatic configuration is a new feature in IPv6 and does not require a separate dynamic host configuration protocol server as in IPv4. Stateless configuration occurs automatically for routers and hosts. Another configuration feature—neighbor discovery—enables hosts and routers to determine the address of a neighbor or an adjacent computer or router. Together, automatic configuration and neighbor discovery help support a plug-and-play Internet deployment for many devices, such as cell phones, wireless devices, and home appliances. These enhancements help reduce the administrative burdens of network administrators by allowing the IPv6- enabled devices to automatically assign themselves IP addresses and find compatible devices with which to communicate. IPv6’s enhanced quality of service feature can help prioritize the delivery of information. The flow label is a new field in the IPv6 header. This field can contain a label identifying or prioritizing a certain packet flow, such as a video stream or a videoconference, and allows devices on the same path to read the flow label and take appropriate action based on the label. For example, IP audio and video services can be enhanced by the data in the flow label because it ensures that all packets are sent to the appropriate destination without significant delay or disruption. IP Security consists of two header extensions that can be used together or separately to improve authentication and confidentiality of data being sent via the Internet. The authentication extension header provides the receiver with greater assurance of who sent the data. The encapsulating security header provides confidentiality to messages using encrypted security payload extension headers. Border security: could deploy wireless sensors with IPv6 to help provide situational awareness about movements on the nation’s borders. First responders: could exploit the hierarchal addressing of IPv6 to promote interoperability and rapid network configuration in responding to emergencies. Public health and safety: could exploit IPv6 end-to-end communications to deliver secure telemedicine applications and interactive diagnoses. Trained Staff: Hiring staff trained and experienced with IPv6. Incentives: As long as there are some IPv4 numbers available, the incentive to migrate to IPv6 is limited. Network Effect: IPv6 networks can only reach IPv6 assets (absent some transition kludge). Therefore, if there are few resources available on the Net that can be reached by an IPv6 network, there is little incentive to transition. At some point this will tip, where there are sufficient resources on IPv6 networks and the network effect is sufficiently valuable to create an incentive to transition. 1Michael Warfield, Internet Security Systems, Security Implications of IPv6 (2003) ("IPv6 is not a panacea for security, though, because few security problems derive solely from the IP layer in the network model. For example, IPv6 does not protect against misconfigured servers, poorly designed applications, or poorly protected sites. In addition, IPv6 and IPv6 transitional mechanisms introduce new, not widely understood, tools and techniques that intruders can use to secure unauthorized activity from detection. These IPv6-derived efforts are often successful even against existing IPv4 networks."). 2See Planning Guide/Roadmap Toward IPv6 Adoption within the US Government, The Federal CIO Council Architecture and Infrastructure Committee Technology Infrastructure Subcommittee Federal IPv6 Working Group, p. 34 (May 2009); OECD Study: Economic considerations in the management of IPv4 and in the deployment of IPv6, p. 42 (May 2008).
. See NIST IPv6 Security Documentation. "Proliferation of transition-driven IPv6 (or IPv4) tunnels, which complicate defenses at network boundaries even if properly authorized, and can completely circumvent those defenses if unauthorized (e.g. host-based tunnels initiated by end users)"
"Block all IPv6 traffic, native and tunneled, at the organization's firewall. Both incoming and outgoing traffic should be blocked. "Disable all IPv6-compatible ports, protocols and services on all software and hardware. 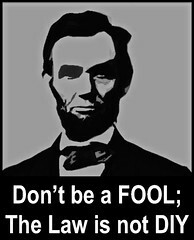 "Begin to acquire familiarity and expertise with IPv6, through laboratory experimentation and/or limited pilot deployments. "Make organization web servers, located outside of the organizational firewall, accessible via IPv6 connections. This will enable IPv6-only users to access the servers and aid the organization in acquiring familiarity with some aspects of IPv6 deployment. "Apply an appropriate mix of different types of IPv6 addressing (privacy addressing, unique local addressing, sparse allocation, etc) to limit access and knowledge of IPv6-addressed environments. "Use automated address management tools to avoid manual entry of IPv6 addresses, which is prone to error because of their length. "Use IPsec (Internet Protocol Security) to authenticate and provide confidentiality to assets that can be tied to a scalable trust model (an example is access to Human Resources assets by internal employees that make use of an organization's Public Key Infrastructure (PKI) to establish trust). "Identify capabilities and weaknesses of network protection devices in an IPv6 environment. "Enable controls that might not have been used in IPv4 due to a lower threat level during initial deployment (implementing default deny access control policies, implementing routing protocol security, etc). "Pay close attention to the security aspects of transition mechanisms such as tunneling protocols. "Ensure that IPv6 routers, packet filters, firewalls, and tunnel endpoints enforce multicast scope boundaries and make sure that Multicast Listener Discovery (MLD) packets are not inappropriately routable. "Be aware that switching from an environment in which NAT (Network Address Translation) provides IP (Internet Protocol) addresses to unique global IPv6 addresses could trigger a change in the FISMA (Federal Information Security Management Act) system boundaries. 10See M. Ford, M. Boucadair, A. Durand, P. Levis, P. Roberts, Issues with IP Address Sharing , IETF Informational Draft (Mar. 8, 2010). 30See Jason Weil, COX, Service Provider NAT44 Overview, NANOG50, slide 5 (October 2010). 40See ARIN XXV Public Policy Meeting Day 1 Notes - 19 April 2010; ARIN XXIII Public Policy Meeting Day 2 Notes - 28 April 2009 (noting work of ARIN Government Working Group, mentioning Bobby Flaim, FBI, and Marc Moreau, Royal Canadian Mounted Police); ARIN Government Working Group (AGWG) (Apr. 2009); Supervisory Special Agent Robert Flaim, Law Enforcement and Internet Governance: "An Ounce of Prevention is Worth a Pound of Cure," AfriNIC Government Working Group Meeting Nov. 26, 2010.